Possibility to spend the night at Pudong airport (PVG), if open 24 hours. Services available, places to rest (free resting zones), or look for the list of nearby hotels and vip lounges..
Pudong airport is, generally, not very comfortable for resting. Have some warm clothes ready and something for the noise, such as headphones or earplugs. Where to rest: Most benches are made of metal and have armrests. In addition, in the public area they are pretty scarce. There are several VIP lounges with more amenities inside the enclosure, but none of them are open at night. 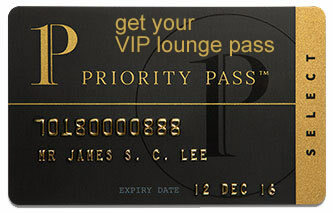 SEE VIP LOUNGES Between the terminals, on the other hand, you can find a hotel. Baggage: In both terminals there is a left luggage service, but only between 6:00 am and 0:00 am. Eating and drinking: The only options available during the night are found in Terminal 2. Restrooms: Showers inside the VIP lounges. The Da Zhong Airport Hotel (Tel +86 213 879 9999) is found between the terminals, above the train and metro stations. Other options in the surroundings operate shuttle services for their guests. Ramada Plaza Shanghai Pudong Airport (Tel +86 213 849 4949), Shanghai Airlines Travel Hotel (Tel +86 215 115 4188), The QUBE Pudong Hotel (Tel +86 216 187 1888), Jinjiang Inn Shanghai Pudong Airport (Tel +86 216 835 3568), Jinjiang Inn Shanghai Pudong Airport II (Tel +86 216 885 3886), Shanghai Huazhouyuan Hotel (Tel +86 215 096 6881), Home Inn Shanghai Pudong Airport Free Trading Area (Tel +86 215 096 0777), Shanghai Jialeyuan Hotel (Tel +86 215 893 7568), Lihao International Hotel (Tel +86 216 896 9666).